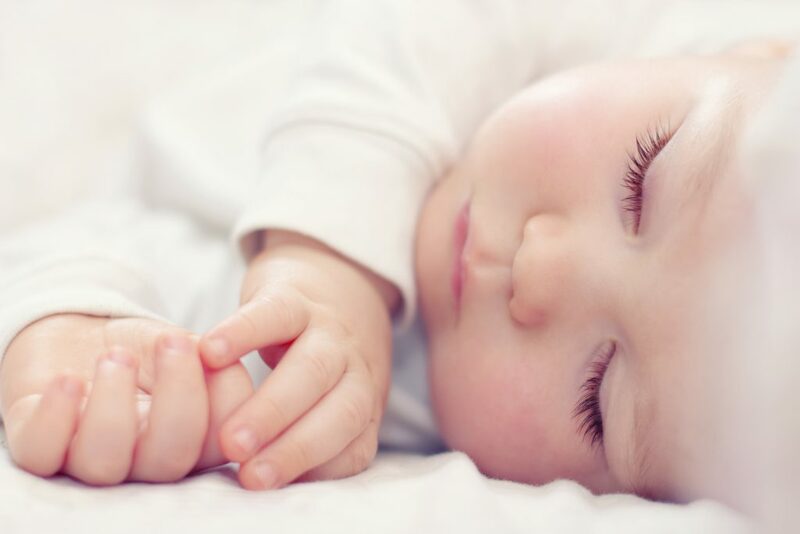 How much sleep does my baby need in the day? 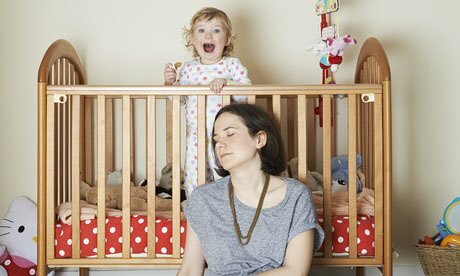 Naps are vital to babies and young children and good daytime naps are the foundation of a good night’s sleep. A baby who eats and sleeps well in the day will tend to sleep regularly and predictably at night. It is important to consider all babies mature at different rates and your baby may happily be on a different napping schedule to your friend’s baby of the same age. Check out our general napping guidelines below. Bear in mind a typical daytime sleep cycle length is about 45 minutes long. Sometimes your baby will just sleep for one cycle and wake, for other naps they will join two cycles together. Between 6 and 9 months your baby can happily stay awake for 2 to 2 ½ hours and having 3 naps a day. This is usually made up of two naps; each of about 45 minutes, one taken in the morning and one in the late afternoon. The main longer nap of about 90 minutes is best taken just after lunch. Most babies will be having an average of 3 hours sleep a day at this age. As babies between 9 and 12 months are able to stay awake for about 3 to 3 ½ hours, they will have on average 2 naps a day. The morning and afternoon naps are taken slightly later now, meaning the late afternoon nap can now be dropped. As a guide, the morning nap should be about 45 minutes long and the afternoon nap 90 minutes long. Most babies in this age group have an average of about 2 ½ hours sleep a day. To “protect” bedtime it is best for your baby to be awake by 3.30 pm. Somewhere between 12 and 15 months toddlers move to a single nap. The transition from two to one nap a day is one that some toddlers find difficult. They are not tired enough for a morning nap but too tired to wait until after lunch. To ease them into this transition try gradually cutting down the morning nap by 10 minutes each day and move the afternoon nap to just after lunch. Then when the morning nap has stopped you may need to temporarily bring lunch forward until your little one adjusts. Why should my baby nap? There is now more evidence than ever to support the role naps play in babies and children’s learning and memory. And a good daytime sleeper is usually a better night sleeper. Naps also help to regulate your child’s mood, appetite and give you some well needed time to rest. But they are not always easy or straight forward to achieve and many parents struggle to get their little ones off for a few hours of precious sleep time in the day. So to help you get your child into good sleep habits we have put together our Millpond Guide to Naps. Having an understanding of when your baby is ready for a nap will mean they won’t be over tired when you put them down and will settle more easily. It is usually a combination sleep cues and timings that get the best napping results. Some babies and children can be very subtle with their cues. How do I settle my baby for a nap? Tidy away toys and sit looking at a book or just having a cuddle. Give a feed in the living room. Then to settle for the nap go into the room where your little one is sleeping, close the curtains and use blackout blinds. Many children of this age are easily distracted; darkening the room will prevent this. Put on a clean nappy, pop your baby into their sleeping bag, have a little story or lullaby and a cuddle. Then settle your little one to sleep as at bedtime. You could try for about 20 minutes to settle your baby in the cot for the nap, but if after this time your little one is still awake go out for a walk instead. We suggest having one nap a day in the cot, but some naps can be out and about.